A reported rash of new lawsuits offers a poignant, sadly recurrent reminder: Aspiring parents who rely on commercial sperm banks for critical reproductive tissues must heed an ancient consumer prescription: caveat emptor. The New York Times says litigation, from Florida to California, Canada to the UK, all raises serious questions about the light or nonexistent regulation of assisted reproduction centers and the materials and services they tout. 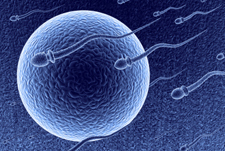 As the Times describes it, the latest suits highlight “claims of deception and negligence, and [add to] an array of challenges beyond the longstanding issue of undetected genetic problems,” in donor sperm. The sperm banks, the paper notes, stand accused of “careless record-keeping, or mishandling or misappropriation of sperm banked for a client’s personal use. Others say the banks use hyped, misleading descriptions to market their donors.” The Times reports on cases in which banks have given out wrong tissues that may lead to offspring with serious genetic-related conditions, and from donors with bad or difficult histories, including cases in which mothers assert they have learned, post hoc, that they will bear children of a different race. Regulators exercise minimal oversight over these operations, often mostly to ensure sanitary conditions in storage facilities and steps to try to curb transmission of disease. But patient-clients, often with little help and while eager to store or obtain life-giving tissue, are left to fend for themselves in figuring out complexities of genetics, inheritable conditions and illnesses, quality and credibility of donors, and other major health and safety issues that can have major effects on offspring for a lifetime. With society and laws changing, these difficult and harsh decisions now increasingly are falling to gays and lesbians, too. It’s perplexing that the issues spotlighted in the Times report, and as dissected in the recent lawsuits, haven’t been addressed by lawmakers or regulators, much less companies with integrity in the industry. Many of these same challenges arose five years ago, as this NPR report indicates. The Times itself published an Op-Ed on the topic three years ago, related to the then-timely release of a Hollywood comedy about a sperm donor who discovers he is the prodigious father to more than 500 kids. And what college-educated male of a certain age doesn’t recall crass dorm humor about ads in the campus newspaper seeking sperm donors? As I’ve noted before, and what this situation underscores, is that lawsuits in the civil justice system often are a solid course of remedy for the aggrieved when other practical or policy options seem stuck or foreclosed. But what we need are fewer instances of terrible errors that require a lawsuit to provide some measure of justice.